For the first 10 years of practice, Mark gained a wealth of legal experience working in diverse areas of the law. He worked for a number of years as counsel and chief operating officer of a title company, in-house attorney for a regional time-share condominium developer, and later as corporate attorney for an oil company, which owned numerous refineries with RCRA permitted on-site waste facilities, a national system of company and lessee-run service stations, hotels and major ski resorts. He supervised administrative actions and civil lawsuits, drafted contracts for the sale and acquisition of properties, handled disputes relating to dealerships under the Federal Petroleum Marketing Practices Act, and was responsible for legal aspects of environmental compliance connected with the company’s petroleum refineries and on-site waste facilities, a system of interstate pipelines and terminals and underground storage tanks at over 300 service stations. In 1987, Mark began his second career as a litigator. 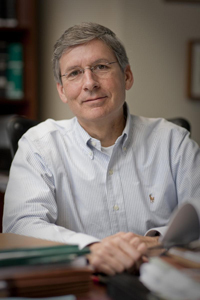 Since then, he has represented corporate and individuals as both defendants and plaintiffs in litigation, involving personal injury, real estate broker and agent malpractice, medical malpractice, automobile accident, products liability, premises liability, legal malpractice, title insurance, wrongful death, toxic tort, and construction/contractor cases, as well as insurance coverage cases in both federal and state courts, and related appeals before the Utah Court of Appeals, Utah Supreme Court and the United States Tenth Circuit Court of Appeals. Mark is committed to the role of ADR in the litigation process. He has become convinced of the benefit of mediation and arbitration through his role as an advocate in hundreds of mediations and arbitrations over the last 24 years. He has been chosen to sit as a neutral arbitrator in numerous medical malpractice and personal injury arbitrations over the last few years. His qualifications as a litigator on both sides of the equation uniquely qualify him to assist parties in understanding legal issues and resolving cases through the process of mediation.